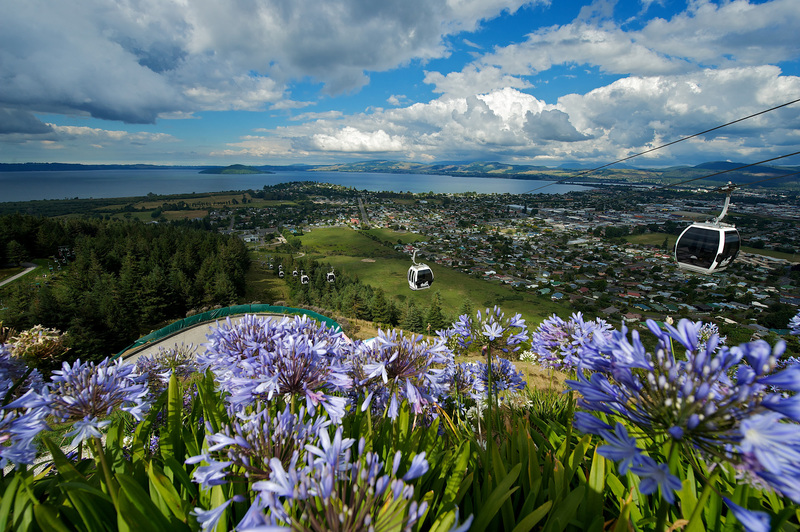 Skyline Rotorua offers the most spectacular views of Rotorua from the extinct volcanic dome of Mt Ngongotaha enabling students to view and sketch the Rotorua Caldera. Skyline also offers talks to students on tourism and geography topics on request. Curriculum based student talks and worksheets available on request. 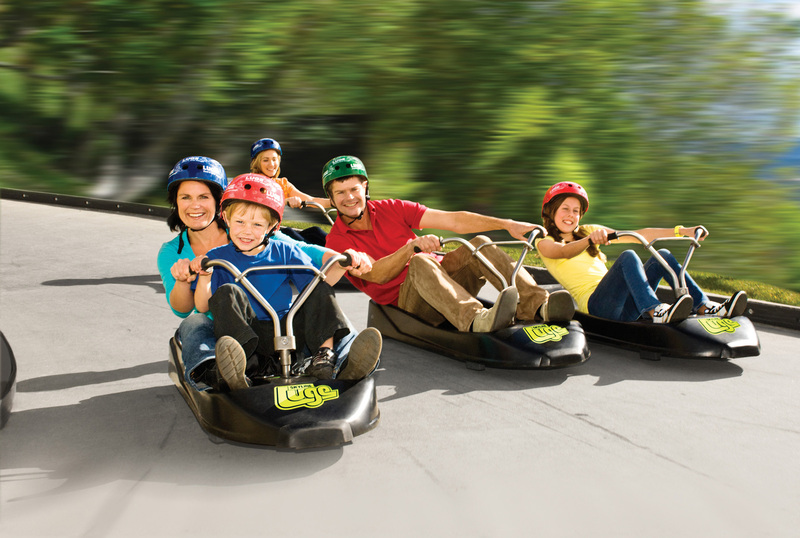 Nestle into a Luge cart and zip off with friends or family to discover who has the skills to master the Luge. The part go-cart, part toboggan is gravity fuelled with full rider control over speed and direction using a unique braking and steering system. Pull back on the handlebars to slow down or stop, release slightly to accelerate and enjoy the ride. 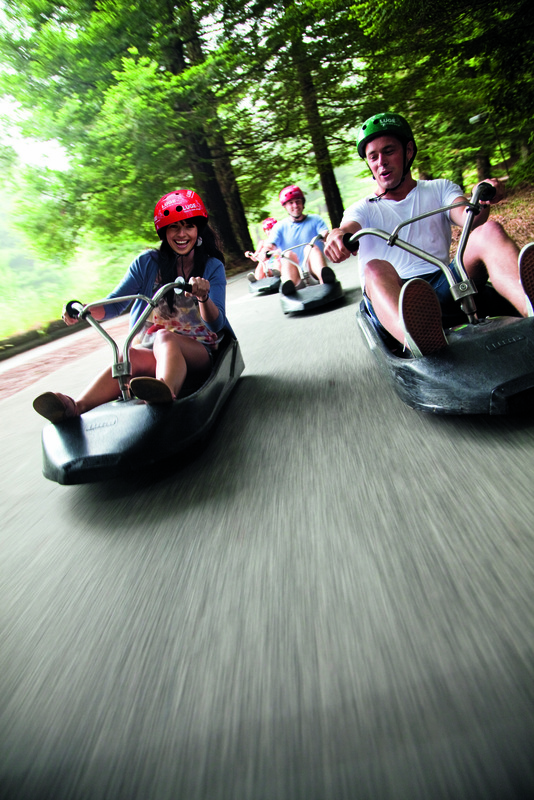 The Luge is great for any age (our oldest rider is 101) and small children can ride with adults. 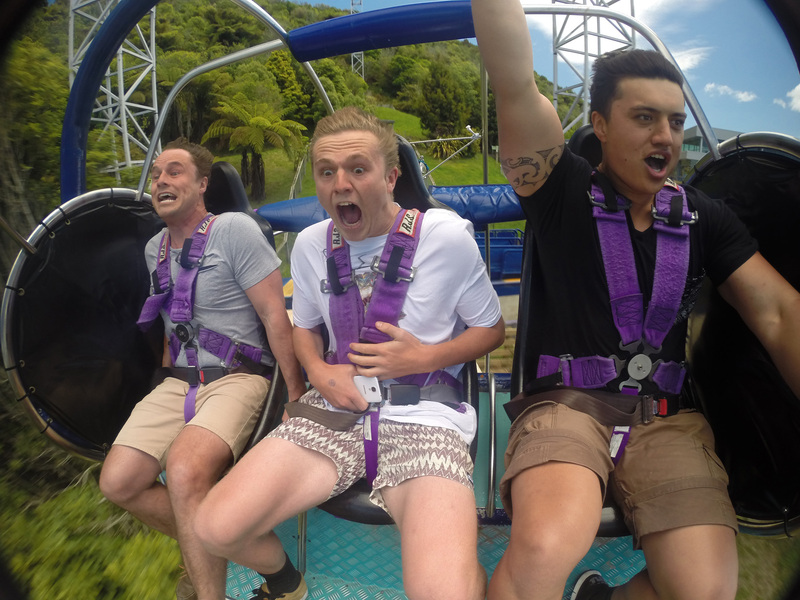 If adventure pushes your buttons, then dare to face your fears and test your limits at New Zealand’s only Skyswing which doubles as Rotorua’s highest and fastest adrenaline rush! 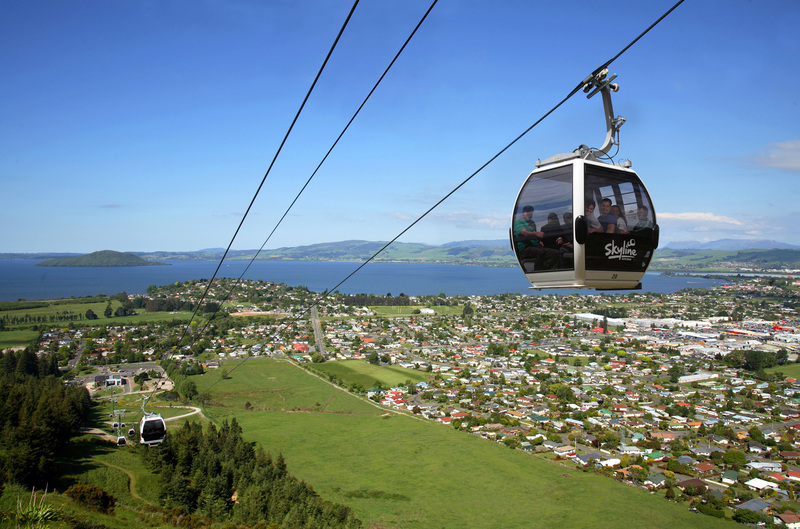 The three-seated Skyswing hoists you 50 metres above Skyline Rotorua, coming to a halt with a breath-taking view over Lake Rotorua and beyond. Hanging from your harness, with the release in your hand, it’s up to you to make the drop! Reaching 150kph, the Skyswing drop will give you a thrill like no other. Eventually the swinging will slow, but don’t get comfortable, we like to excite you one more time with a spin to finish. 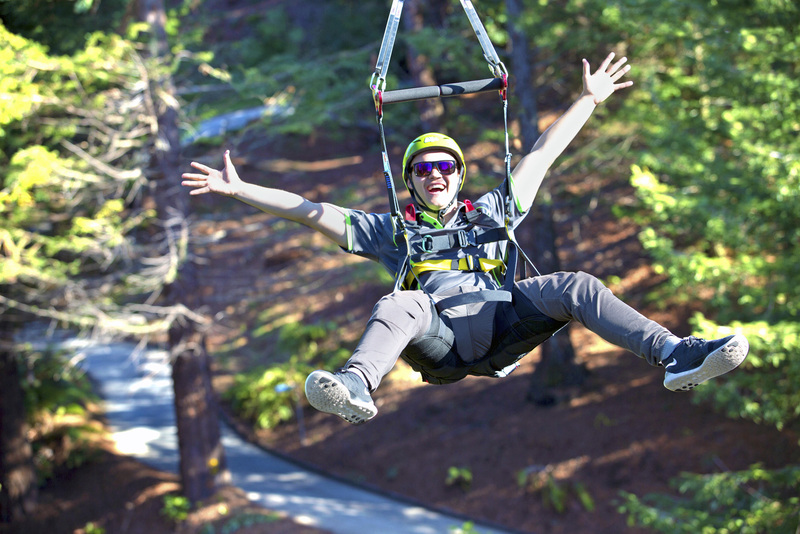 Fly through the sky amongst Skyline’s majestic Redwood forest with Zoom Ziplines. 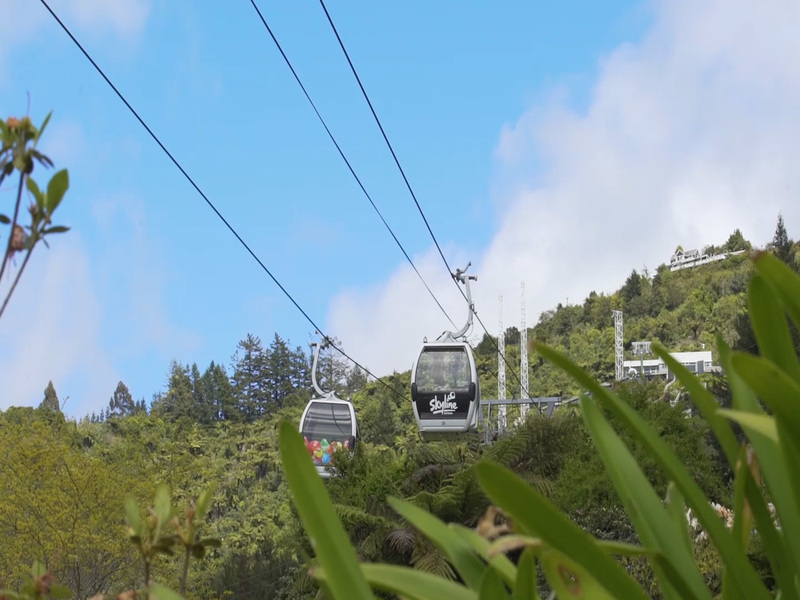 A whole new way to experience Mount Ngongotaha! 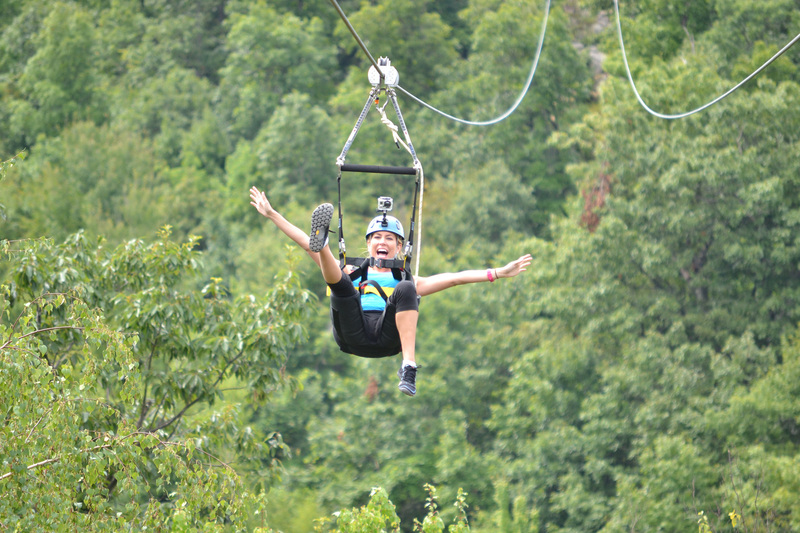 Our unique 400 metre dual ziplines allow you to race your friends & family at speeds of up to 80km/h. 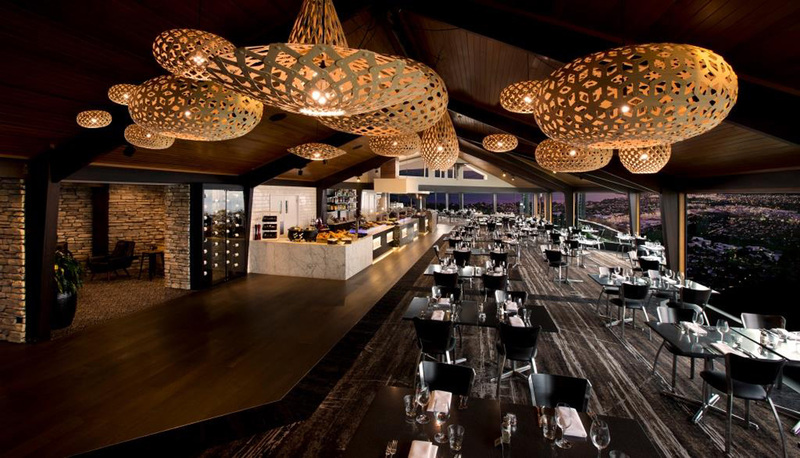 Soar metres from the treetops and feel the thrill of flying with Lake Rotorua as your backdrop. Finish your experience with a thrilling 13m free fall jump!